a master strategist from the war-torn Belgian Congo, who has far different plans for the talented disease control physician. 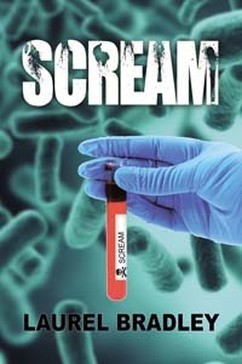 Despite Liam's desire to prove himself to Penny, he's coerced into the lab to try to isolate and control a horrific new disease called Scream--which drags its victims through a bloody, screaming hell and leaves no survivors. In a tightly played game of pawns, knights and would-be kings, Liam is cast in the role of pawn. ​To survive and rescue Penny, he'll need to become a hero. Marissa Fleming isn't ready for motherhood. She s a sophomore in college when an unplanned pregnancy changes everything. Her boyfriend isn't interested in fatherhood, abortion is out of the question, and she can't bring herself to tell her parents or friends. Not knowing what to do, she does nothing until she gives birth in her dorm. Then there's another problem...what to do with the baby? Libby Armstrong is sad and lonely, with no direction in life, until one cold November morning she notices an athletic bag next to the grocery cart corral. 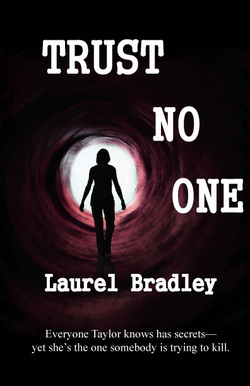 Inside, she discovers an abandoned newborn boy. She knows she should turn him in but refuses to condemn him to the foster care system. She decides to keep him, telling everyone he is hers, that she didn't know she was pregnant. Lie upon lie. 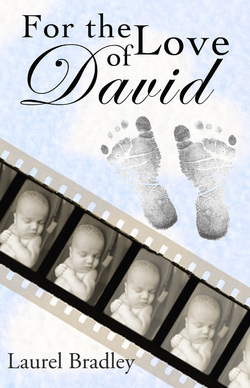 But Baby David is worth it. His presence gives Libby the joy she d been missing. Marissa can't get her baby out of her head. She's obsessed with finding him. When her path crosses Libby's, Marissa steals him and runs. But is she prepared for what it takes to provide for herself and the child? Can Libby find peace with the hole in her heart from the loss of David? Taylor—yet she’s the one someone is trying to kill. bombings continues to stalk her. proof he’s trying to protect her and lead her to where he is hiding. When Mike Tucker dumps crème brûlée down chef Patrice Wilson’s dress whites, she knows it’s time to forget her life-long crush and move on. It isn’t until she’s no longer speaking to him that Mike realizes he’s loved her all along. His just-before-Christmas campaign to win her back involves four nosey parents, three scoops of ice cream, two other suitors and a Don Quixote singing troubadour. In 18th century Scotland, Magda McClellan is eight months pregnant and very much in love when she befriends an old woman accused of witchcraft and is given a wish she refuses to use. Little does she know that Maggie McDonald, her 20th century incarnation, takes and makes the wish. When Maggie wakens the next morning, she finds herself round with child in the 18th century. Magda has also been catapulted through time, waking in New York hospital bed—and she’s no longer pregnant. Will the women solve the riddle and return home before it’s too late?